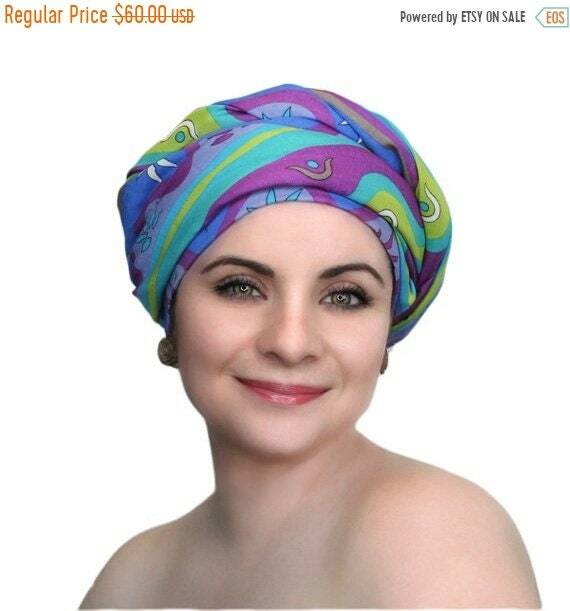 You will LOVE these soft, colorful turban head wraps! 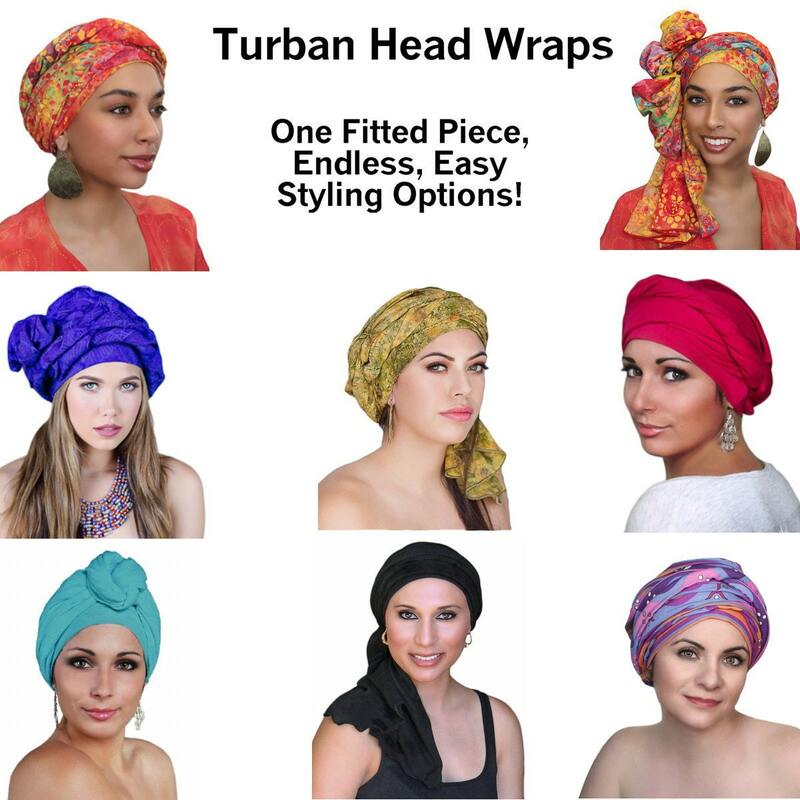 You can make ALL the styles you see & more with the same Turban Wrap. 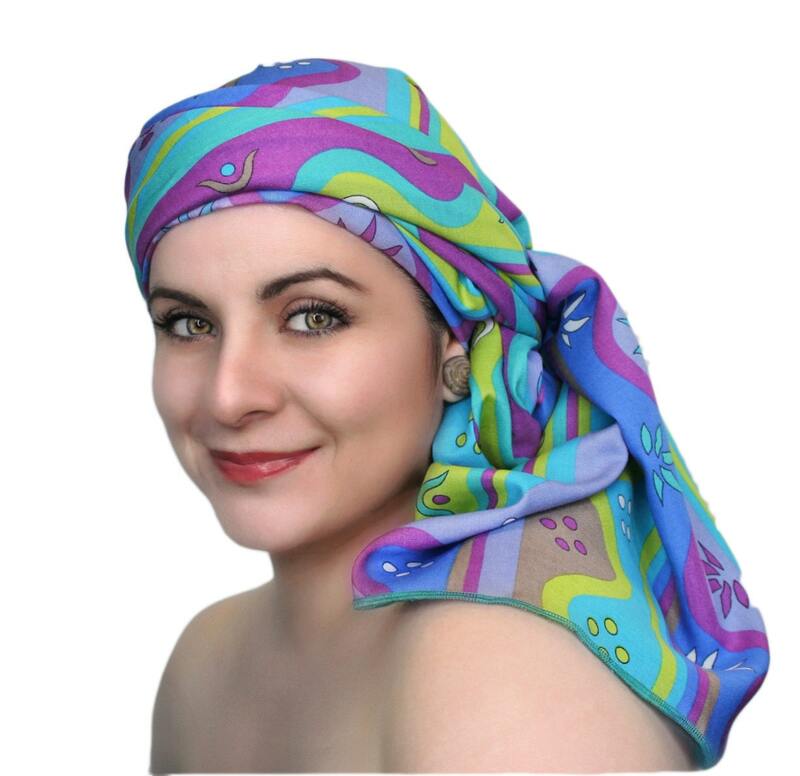 These are NOT simply a scarf, but perfectly fitted so it stays securely on your head as you wrap. Your purchase comes with easy instructions; you can feel confident about creating your personal style. Spread or twist the layers for your favorite look or rock an elegant knot. There’s lots of fabric in these super long wraps so no matter the style, you will be flawless. This turban wrap has enough body to wrap as high or twist as close as you'd like but is light enough for all day comfort. You’ll never have to worry about them slipping or feeling too tight. Size: Adjustable 21-24 inches (measured around the natural hairline and across the middle of your ears). International: Please see our shipping policies. The fabric is fabulous and the colors are gorgeous. I've never really worked with tying and shaping scarves, but the instructions given are clear. Since I lost my hair to chemo, I love having all kinds of hats and scarves to wear, and this is one of my favorites. Thank you.